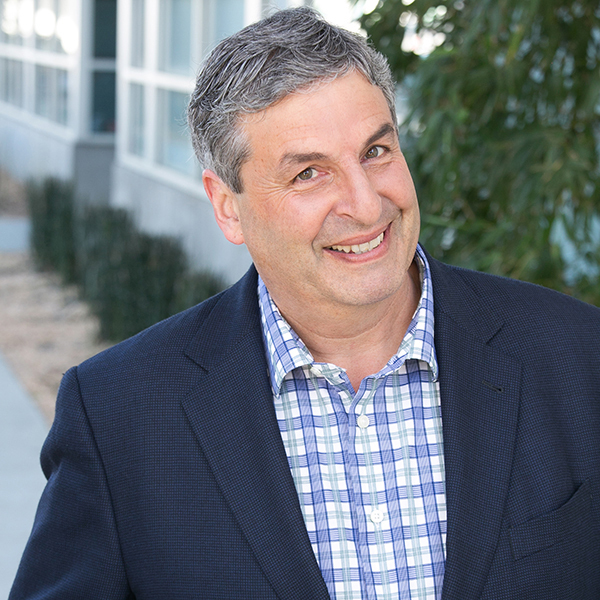 Raz writes with a keen eye, an open heart, and a delicious sense of detail. He lifts us 100 feet in the air and plunges us into a world of fear, doubt, excitement, and delight – the world of the Clown. 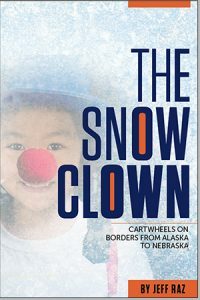 “The Snow Clown: Cartwheels on Borders from Alaska to Nebraska” takes readers on a thought-provoking adventure drawn from Raz’s ten tours to Southwest Alaska and his years as an Artist-in-Residence at the University of Nebraska Lincoln. 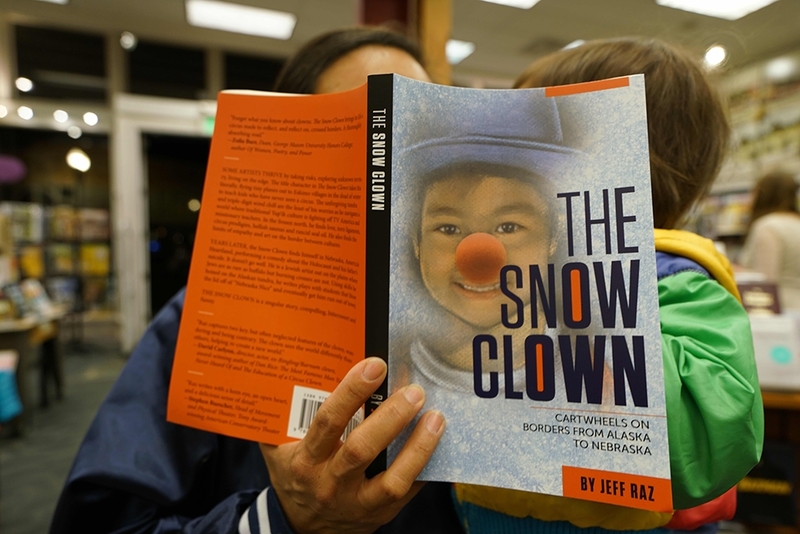 Internationally and nationally touring Cirque du Soleil performer, actor, director, educator, prolific playwright and author Jeff Raz announces his second book, The Snow Clown: Cartwheels on Borders from Alaska to Nebraska. 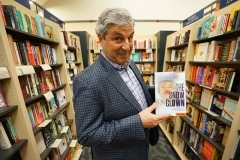 Raz’s first book, The Secret Life of Clowns: A backstage tour of Cirque du Soleil and the Clown Conservatory, was launched at the Smithsonian in 2017. The Snow Clown is an engrossing story about taking circus and theater out of its confines and into the frozen tundra and America’s Heartland. This “stranger in a strange land” tale reveals how art can connect us across cultural boundaries and examines the limits of empathy in the face of new and different human experiences. 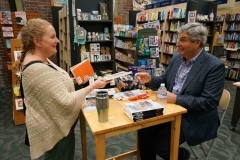 With his characteristic color, detail, humor and poignancy, Raz takes readers on a thought-provoking adventure drawn from his ten tours to Southwest Alaska and his years as an Artist-in-Residence at the University of Nebraska Lincoln. 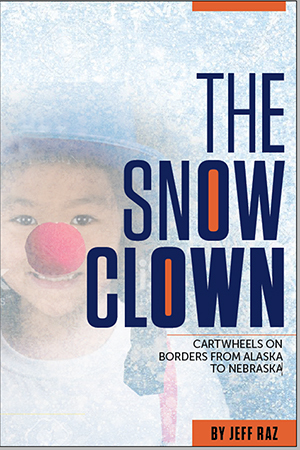 The Snow Clown also uses monologues from Raz’s critically acclaimed play, “Father-Land” (written with Jael Weisman), as well as sections based on scripts that he wrote with University of Nebraska-Lincoln students. While many artists thrive by taking risks, exploring unknown territory and living on the edge, the title character in The Snow Clown takes this literally: flying tiny planes out to Eskimo villages in the dead of winter to create shows with kids who have never seen a circus. 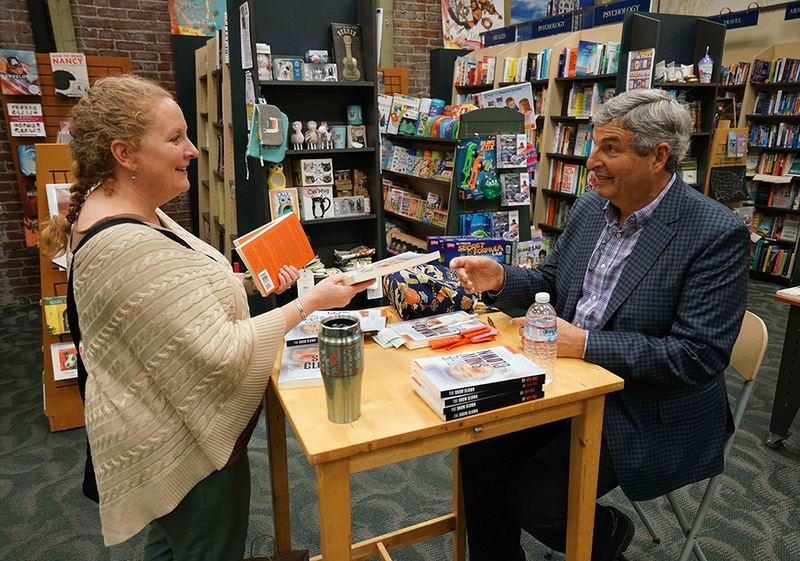 The unforgiving tundra and triple-digit wind chill are the least of his worries as he navigates a world where traditional Yup’ik culture is fighting off TV America and missionary teachers. In the frozen north, he finds love, torn ligaments, circus prodigies, hellish saunas and rancid seal oil. He also finds the limits of empathy and art on the border between cultures. Years later, the Snow Clown finds himself in Nebraska, America’s heartland, performing a solo comedy about the Holocaust and his father’s suicide. It doesn’t go well. He is a Jewish artist out on the plains where Jews are as rare as buffalo and burning crosses are not. 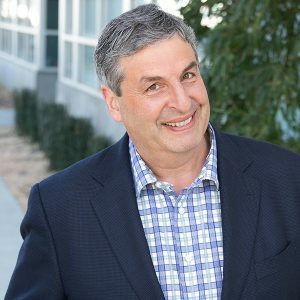 Using skills he honed on the Yukon Delta, he writes plays with students that blow the lid off of “Nebraska Nice” and eventually get him run out of town. The Snow Clown is a singular story: compelling, bittersweet and funny. Read an excerpt here. ~ David Carlyon, director, actor, ex-Ringling/Barnum clown, award-winning author of Dan Rice: The Most Famous Man You’ve Never Heard Of and Education of a Circus Clown. Jeff Raz is available for interviews, covering such topics as: clowning, circus, circus history, Bay Area circus and theater, creating fiction from personal sto-ries, medical clowning, teaching artists, community-based art, artists in re-mote communities, artist diversity programs and travel.